"Life cannot be contained. Life breaks free…" Universal Pictures has debuted the first official trailer for J.A. 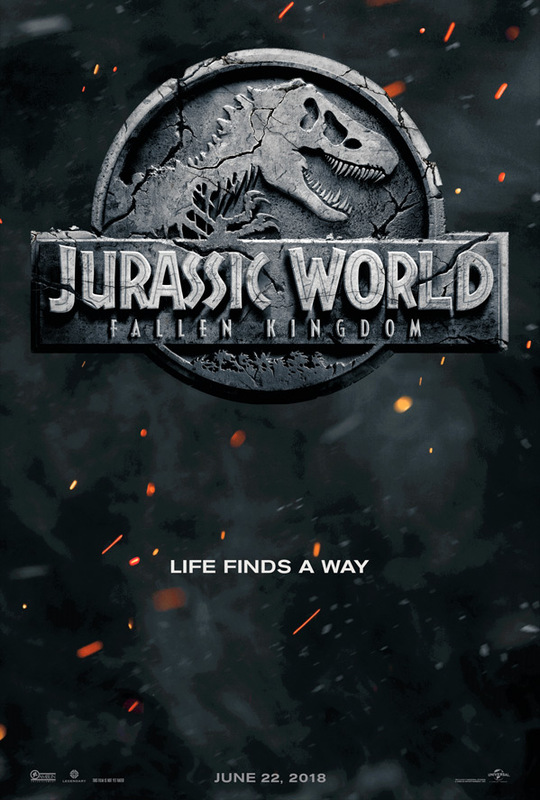 Bayona's Jurassic World: Fallen Kingdom, the action-packed blockbuster sequel to 2015's Jurassic World, which is the current reboot of the Jurassic Park sci-fi dinosaur park series. The plot for this one involves the group going back to Isla Nublar to try and save some dinos before a volcano eruption takes out the entire island. Chris Pratt and Bryce Dallas Howard return as co-stars, along with "Ian Malcolm" himself, Mr. Jeff Goldblum, plus BD Wong, Toby Jones, Ted Levine, James Cromwell, Geraldine Chaplin, and Rafe Spall. 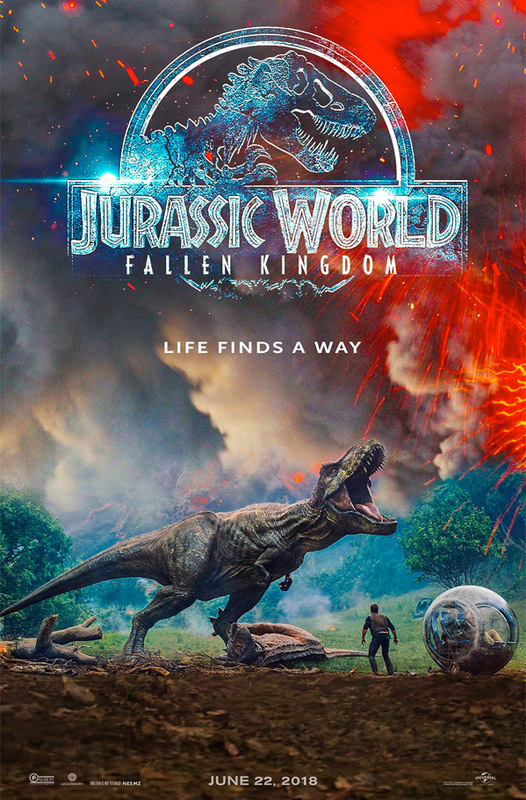 So this actually looks pretty damn good, better than I was expecting, but it still seems they're overselling it (more dinosaurs, and a volcano, and everything!). I just hope this one is good. You can also watch the behind-the-scenes featurette for Fallen Kingdom here, for more from this movie.